How will your Moon Sign affect your Exam Results this year? Waiting for this year's Board examinations' results? Is this about you? Or are you a parent, worried and anxious about your child's probable performance? Well, the situation or stage may be any, but the examination results bring the same kind of nail-biting anxiety for everyone. To reduce some of this nervousness, we bring you a Moon-Sign-wise set of predictions that will help you get a little idea of the kind of results you may expect, if you recently appeared for an important exam, and are now awaiting the marks disclosure eagerly. If you do not know your or your child's Moon Sign, please use this link (/free-horoscope/moon-sign-report/) to find it first. The mighty Jupiter has been transiting in a retrograde mode as the new FY opens. But, soon from the second week of April 2015, the transiting Jupiter shall turn direct in its Sign of exaltation—Cancer. Post this, the moving Jupiter shall change its Signs and enter the Zodiac Sign Leo from mid-July 2015. This shall be the most important planetary transit of this year. All this while, Saturn shall continue its journey through Scorpio. The transiting Rahu shall continue to transit through its friendly Sign Virgo in 2015; it will change Signs to enter Leo in January 2016 end. At that time, Jupiter and Rahu will be in the same Sign, and that is when we shall witness scattering of the either planets' energies. The positive influences of Jupiter may seem to get confused, while the ill effects of Rahu too may get somewhat mitigated. Besides, these planetary movements, the transiting Ketu will also continue its transit through Pisces till the end of January 2016, and thereafter it shall move to Aquarius. In view of this planetary configuration, let us see the effects and implications on various Moon Signs, in the forthcoming period. Ganesha feels that the Aries natives who are pursuing their Masters or higher education shall be in considerable luck till 13-07-2015, as till this time Jupiter shall be transiting through its Sign of exaltation-Cancer, which is the 4th House from your Sign. So, if you are at that stage of your education and are expecting your results any time till July, you can hope for the best. 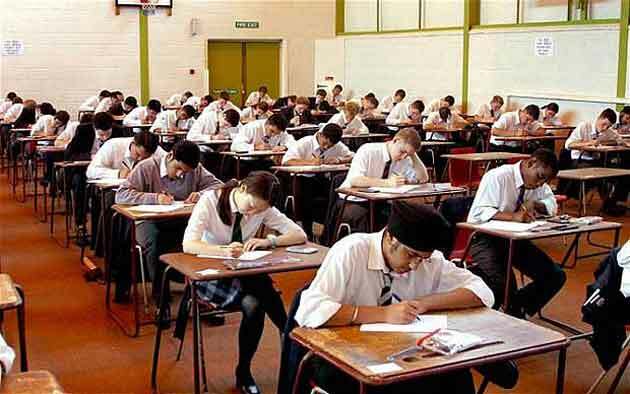 On the other hand, if you are a younger student expecting your exam results any time soon, you may have to be ready for all sorts of situations, as the Lord of the 5th House for your Sign is getting weakened now. In view of the current planetary position, Ganesha says that students born under this Sign may face difficulties, while studying, revising or planning their academic strategies. They might also get distracted due to the negative influence of Rahu. Subsequently, there are less chances of getting the desired results in the exams held during this period. However, if the Lord of the 5th House is powerful in one's Personal Horoscope, luck shall help that person considerably, helping him/ her sail through with relative ease. Overall, though, this looks set to be a tough period for Taurus Moon Sign students. Ganesha observes that this period shall be favourable for you, with respect to your educational pursuits, since Jupiter will support students, and help you to get the fruits of your labour. However, Gemini natives who are pursuing a Masters degree or higher level studies may face a tough time on the academic front, as Rahu is positioned in the 4th House from your Sign. This could have an adverse effect on your studies, and may also hinder your academic progress. With respect to the educational matters, you may have to work pretty hard in the year ahead, feels Ganesha. For your Moon Sign, Ganesha foresees moderate success, in case you are expecting any major results in this acaedmic year. Since Saturn is currently transiting in a retrograde mode, over the House of Education for the Moon Sign Cancer, things may remain slow to average till July 2015. On the positive side, Jupiter is placed in its Sign of exaltation currently, and is aspecting the 5th House from your Sign. Hence, if the stars are favourably posited in your Birth Chart, you can expect to get an outstanding result even till July 2015. Leo natives may get mixed results on the educational front, during this period. Ganesha also assures that Jupiter shall completely support your efforts, after July 2015. Yet, Saturn transiting in the 4th House from your Sign could remain a cause of concern, especially if you are a student pursuing your Masters degree or advanced level studies. You should, therefore, perform prayers related to the planet Jupiter regularly, in this period, as this will help you obtain the kind blessings of Lord Jupiter, and also achieve academic success. Basis the prevailing planetary alliances, Ganesha feels that students born under Virgo Moon Sign may experience a plenty of stress, during this year, as Rahu is transiting over Virgo. Thus, it is quite likely that you tend to be frequently distracted from studies, especially while preparing for your exams. This planetary configuration, which came into effect in July 2014, may also have adversely affected your health. Overall, till 2016 January i.e. till Rahu remains in your Sign, you should be ready to adjust with the circumstances, and do your level best to remain focussed on your studies. According to Ganesha, students born under this Sign shall be delighted on achieving a good academic result, after working hard during this year. Besides, the Lord of Education is not supporting your Sign, yet Jupiter's transit in the Quadrant, shall help you, up to some extent. However, do not expect very good results in the exams held during this period, otherwise you may get upset. This period is unfavourable for students born under this Sign, as the malefic planet Ketu is transiting through the House of Education, from your Sign. Hence, you were frequently distracted while studying and thus remained disturbed. It seems that this planetary transit, may have an adverse effect on your examination results, during this year. Actually Ganesha does not intend to discourage you, instead he advises you to remain patient and keep faith in God, so that you do not get highly disappointed. However, Scorpio natives should not get dejected, if auspicious planets are transiting over the House of Education, in your Birth Chart. Mars is the Lord of the House related to Education. According to Ganesha, the planets indicate a favourable period for academic activities. This year also seems to be good for students born under this Sign, in comparison with the previous year. One more reason is that the malefic planet Ketu has changed Signs, and thus moved away from the House associated with Education. Anyway, Sagittarius natives who are pursuing a Master's degree may experience some difficulties on the academic front, during this period. Venus has always been beneficial for students born under this Sign, as Venus is an auspicious planet. Moreover, as per the Vedic Hymns, this is also mentioned in all the Holy Scriptures. Hence Capricorn natives are more interested in academic activities. They like to acquire as well as spread knowledge. However, Saturn is currently positioned in the 11th House, and completely aspects your House of Education. Thus only hard work shall lead to good results in the exams during this period. Whereas Saturn will act as a teacher and show the right direction, to those students who have hardly studied during this year. After reviewing the current planetary position, Ganesha advises Aquarius natives to remain alert regarding educational matters, during this year. This is because, Mercury will constantly be in conjunction with the weak, retrograde, and combust Ketu. Also, the position of planet Mercury (associated with Education) in your Horoscope, is also highly significant. Overall, students born under this Sign, may get an average result in the exams held during this year. Pisces natives may be highly confused during this period, as the current planetary movement is also very amazing. On one hand, Jupiter itself is transiting through your House of Education, while, on the other hand, the malefic planet Ketu is negatively influencing and transiting over the Moon, related to your mood. Hence, if you score less marks in one subject--it could affect the overall result of your exams. Anyway, if auspicious planets are positioned in the House of Education in your Horoscope, students born under this Sign can expect to achieve an outstanding academic result, during this year.